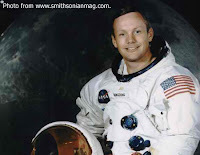 It was on social media that I first heard the sad news that Neil Armstrong passed away the other day. Mind, the fact that I worked in a school means that the vast majority of my social media connections are considerably younger than I am. Yet, the posts about the great man’s passing away were being made by these very people many of whom probably heard of the man only from books and television documentaries many years after the fact. After the fact of his being the first-ever human being to set foot on a celestial body other than his own home planet, that is. My immediate realisation was that my generation has been fortunate to have witnessed the historic event as it happened; albeit through what was then still the relatively emerging media that is television. 20 July 1969. This was the date when Neil Armstrong jumped from off the Apollo 11 Lunar Module and onto lunar soil to earn a distinction that nobody can ever take away from him. The moment his oversized astronaut’s boots touched the gravelly lunar surface, he became the first man on the moon. Farewell, then, to Neil Armstrong. I can imagine what utter joy it must have brought him to look down at the Earth from the moon. I guess now he can do so again for all eternity. 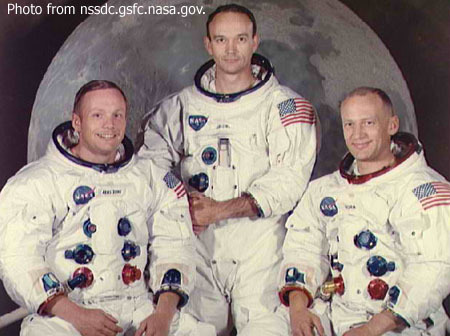 Those of my generation will probably have no trouble recalling the name of Buzz Aldrin, who followed Armstrong out onto lunar soil soon afterwards. There was also Michael Collins, the personification of the cliché so-close-yet-so-far. Collins travelled 384,400 kilometres to the moon but had to remain in orbit around the moon in the command module while the two other astronauts explored the surface. I was a 10-year old boy at the time. The moon landing was a highly-anticipated event worldwide. Because my Dad was in the Air Force and my Mom was a great fan of anything American, our entire family followed the three astronauts’ epic voyage from the launch at the Kennedy Space Centre in Florida to when Armstrong and Aldrin were getting ready to descend from the lunar module. Everyone was gathered in front of our bulky black-and-white TV that historic morning. I honestly do not think that we were the only ones who followed the event. The significance of the occasion was not lost on anyone; and those who could were glued to their sets to be able to see the moment when man finally stepped on the moon. 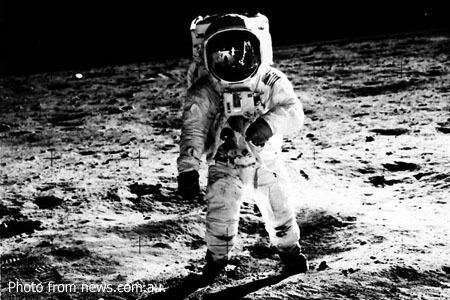 This was what the teary-eyed Armstrong said upon stepping upon lunar soil. His words were transmitted across space into television sets the world over. The words were garbled by the radio transmission; but the depth of his emotions was unmistakable and unforgettable. His words have been etched on my mind for more than four decades! Ditto images of the astronauts bouncing on lunar soil because of the moon’s weaker gravity. Then there was the planting of the American flag on lunar soil. The gathering of rocks. Until it was time to meet up with Collins in the command module. I honestly believe that the occasion was one moment in time when one’s nationality mattered the least. It was a proud moment not just for the United States but for the entire human race. There is something about recalling the event, though, that leaves me in something of a dilemma. Memory tells me that there were no classes on the day of the moon landing. That said, memory does get hazy four decades later. The 20th of July in 1969 was a Sunday. On the other hand, the actual landing was 20:18 or 8:18 at night Universal Coordinated Time or UTC. That would have made it Monday here in the Philippines just past noon. Indeed, I remember the actual landing happening just after we had had our lunch. My memory may yet be correct, and if any of my contemporaries can corroborate it, please do not hesitate using the Comments Box below.